Up until recently, I was convinced all garden sheds were an eyesore! Either too bulky or only available in colours of green, cream or silver. So when we built our house, I was dead against putting a shed in our backyard. However, Patrick is now at an age where he’s into absolutely everything and I need somewhere more secure to keep tools and toxic products. 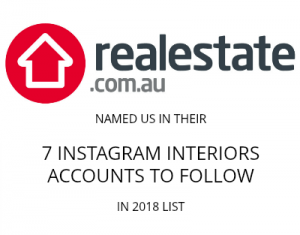 This made me review the options on the market and I was pleasantly surprised to find some new shapes (such as those with a pitched roof similar to our house design) and new colours available. The nicest garden sheds I found were the Treco sheds from Oldfields and I selected their new slate grey design for my backyard. 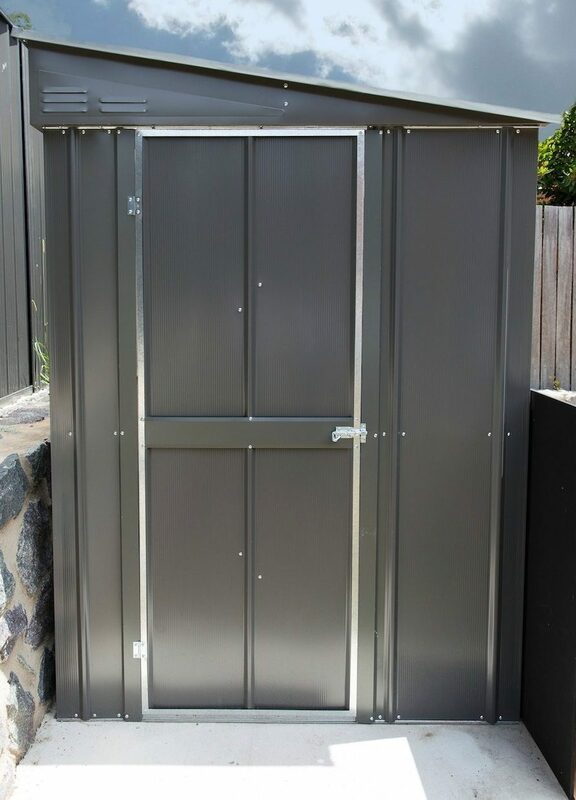 Not only do their sheds look great, they are made in Australia and come with a 20 year warranty. 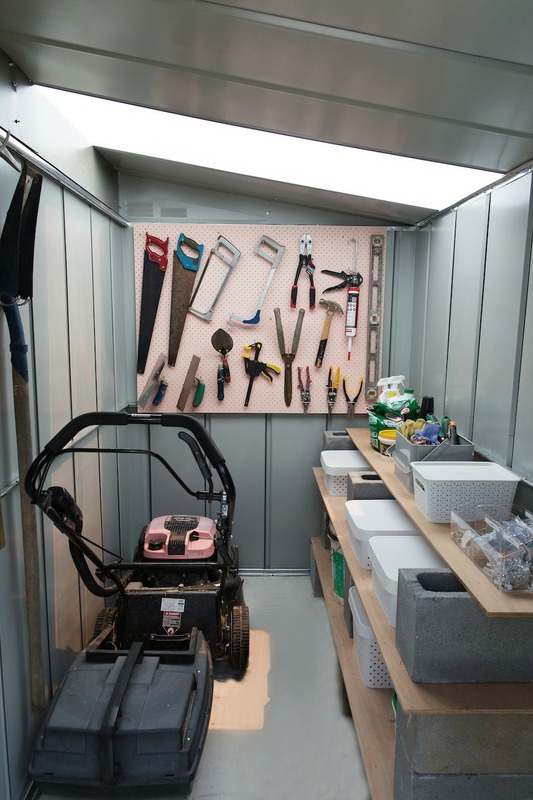 The first step to selecting the right shed is to think about size – what will you be using your shed for (a workspace or storage only)? Another factor is the size of your backyard. You may have a dedicated space you want the shed to fit, or be mindful of the overall shed-to-garden ratio. 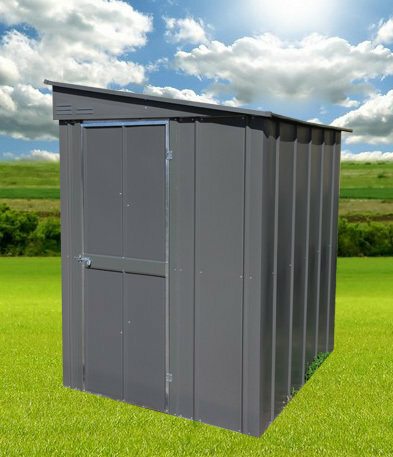 You can browse the range of sheds by size here to get a sense of the options available. Once you know the size you need, you can select the shape – either traditional gable roof or pitched roof called ‘skillion’. Depending on the size, you may also have the option of a single or double door. Then there are optional add-ons such as windows or skylights. And of course, there’s the important decision of colour. Most garden sheds can be installed yourself and the Treco range from Oldfields are easy to assemble with detailed guides to step you through the process. Treco garden sheds have been manufactured in Australia since the 1960s and were the first kit form shed manufactured in Australia. I like that you don’t have to use anchoring brankets as the base frame performs the role of a bracket so there’s no need to drill into a concrete slab. Their sheds also don’t have any sharp or exposed corners or edges, ideal if you have little children. If you’re searching for a modern garden shed, check out the stylish, high-quality and affordable range on the Oldfields website here. *Disclaimer: this shed was gifted.